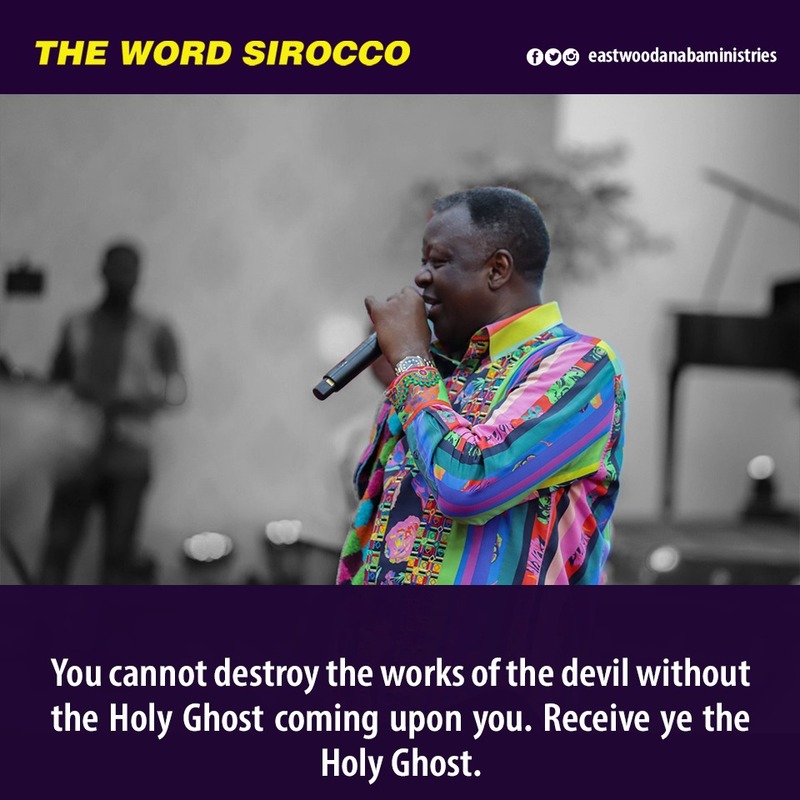 You cannot destroy the works of the devil without the Holy Ghost coming upon you. Those who try to fulfil God’s mandate with their own wisdom and strength are not able to do so. Some destroy themselves in the process. It was imperative for Jesus Christ to have the Holy Ghost upon Him, because He “was made in the likeness of men and found in fashion as a man”. He could only fulfil His purpose through the overwhelming influence of the Holy Ghost. Jesus Christ being made in the likeness of men, was a partaker of human weaknesses though He did not sin. He was subject to pain, hunger, discouragement and death. The Holy Ghost was upon Him to empower Him to overcome human frailty to do God’s will. You cannot fulfil God’s purpose for your life through any other means. When the Spirit of the Lord is upon you, your fears and weaknesses are overshadowed. Jesus Christ was empowered by the Holy Ghost to set the example for you. As the captain of your salvation, He shows you how to live victoriously through the power of the Holy Ghost. You can’t destroy the works of the devil in your flesh. You can’t do God’s will with your wisdom and strength. Your humanness is not at the devil’s level of operation. Your flesh can’t faithfully execute God ’s plans. 1. Pray for yourself that the Holy Ghost will superimpose His strength upon you, and suppress your frailties to enable you fulfil His purpose. 2. Pray also that the Holy Ghost will overshadow your human wisdom with His wisdom as you seek to do His will.